Numerology is the study of numbers which depicts you fait in one’s life; in the same ways that astrology uses extraterrestrial bodies to predict ones past and future. So numerology – how can it help you? Being the study of number and their relation between numbers and each individual person, the study uses specific important dates determined by your name a, date of birth and other important events in your life to d to determine what a person will encounter during his life time. Numerology can help you if you want to predetermine predict life events in advance, since each number associated to a person has a significant meaning, strength, weakness, or power associated to it. Numerology is based on the number 1-9 and specific calculations are used to pinpoint the number a person is associated with. 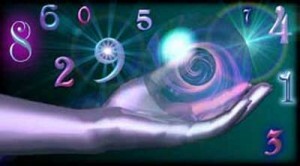 People who follow numerological predictions base or associate events that happened or would happen totally reliant on the numbers and go a step further be determining different occasions according to the number predictions. Numerology is more closely followed by more people around the world that any other form of prediction since it associated numbers with future events that will be happening or may happen. Many followers associate the numbers with events that happened. When one visits a numerologist he begins by determining the number associated with a person and moves on to tell the person about numbers that will be positive in his life and numbers that bill be associated with negativity in a person’s life. Chaldean Numerology, Kabbalah Numerology, Western Numerology, Chinese Numerology, Tamil/Indian Numerology. Chaldean numerology: this form of numerology originated in the kingdom of Babylon and is the oldest form of numerology. The numbers were broken down in to two categories, whereby single digit numbers were associated to the outer personality were as the double digit were associated with the inner personalities. The number 9 was also associated to holiness and people were advised to avoid the number if they were to have better fortunes. Kabbalah Numerology: this form of numerology developed from Judaism and since they believed that everything had energy the numerology was more concentrated on identifying each energy for rather than using the number to determine future events. The numerology has been evolving as time passed and newer versions were modified to cater for changes that were made as civilizations changed. Western Numerology: also know as Pythagorean numerology this form is most famous and also the easiest to get started with. It basically involves calculation of a person’s number using his name to determine future events that may unfold. Chinese numerology: has been dated back 4000 years and is still strongly used in china by many of the locals. They also use dates of birth to determine your name which corresponds to the dates and future predictions that may happen in one’s life. All these forms of prediction revolve around a form of calculating numbers to determines a believer future since they have a chance to determining though the date of birth, date and time of appointments or meeting or any other thing whether the result shall be positive or negative. this gives the person using numerology the upper hand when it comes to making decisions concerning future events but this being an advantage it also makes many believers consider the dates before making a decision rather that considering the reality of the situation.